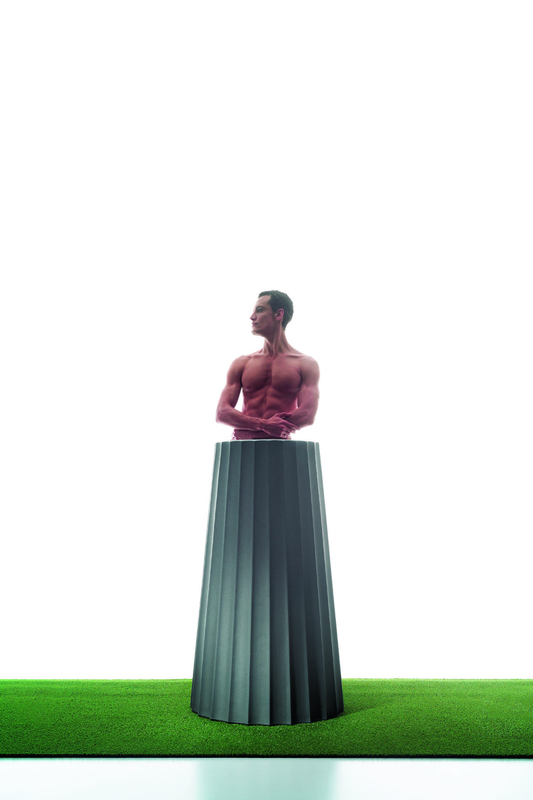 Eufronio is Paolo Rizzattoâ€™s contemporary reversible pot. Available in a range of colours, the polyethylene over-sized structure is 100% recyclable, and perfect for indoor or outdoor use. 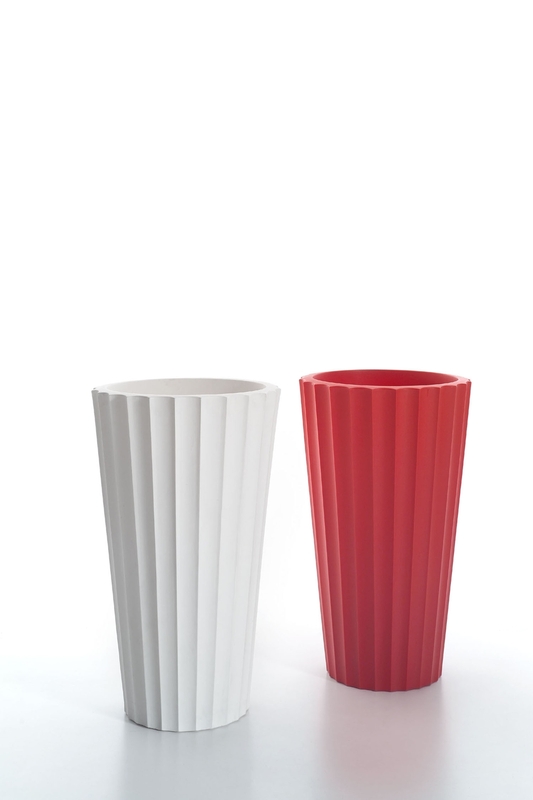 The pot is highly versatile, designed to be reversible to either have a flared or tapered effect. 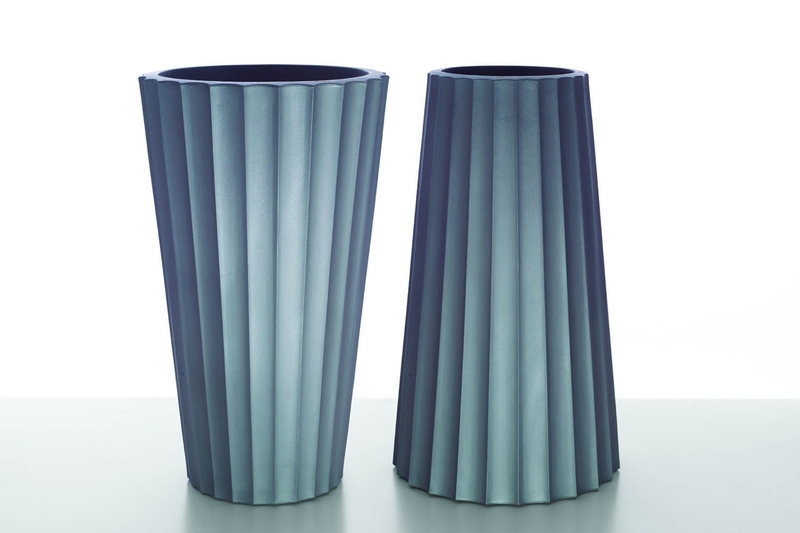 While the shape and function of the pot is contemporary, the grooved surface is a reminder of the classicism of columns. Ideal for large spaces or outdoor areas to make a visual statement.